A Danville school which was abandoned three years ago may get new life. 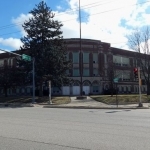 Assistant Superintendent John Hart says District 118 has received word there is interest in redeveloping Cannon School on East Main Street….. The school was closed in January of 2016 because of severe flooding. The flooding occurred over the 2015 – 2016 Christmas and New Year’s break. Hart says after some mold developed from the flooding the school district called in special movers…. Hart says a presentation will be made at Wednesday’s school board meeting by representatives of the city of Danville. Community Development Director David Schnelle is one of those scheduled to appear before the school board next Wednesday. And Hart says they will learn at that time who it is that is interested in the building.